NowHiringVeterans.com is the creation of Jeri Prophet and Mark Oiler of IntellecTechs, Inc., a full service Information Technology Company (SDB, SDVOSB, EDWOSB) head-quartered in Virginia Beach, VA. 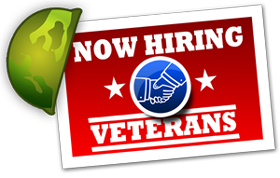 The sole purpose was to assist men and women who have served on active duty in the Armed Forces with their reintroduction into the civilian workforce and to introduce them to a pool of companies specifically interested in hiring qualified, eligible Veterans/Wounded Warriors. Are you searching for a few good men and women for your business? Look no further. Hundreds of Veterans/Wounded Warriors depart every day from military service and enter the civilian job market. Veterans/Wounded Warriors often bring with them strong work ethics, exceptional training, and proven leadership skills. Generally most will have valuable background and security clearances - an added incentive for employers to hire from this pool. Additionally, there are specific tax credits available to employers who hire military Veterans/Wounded Warriors. Today's military Veterans/Wounded Warriors have been trained in nearly every occupation imaginable – register to post your resume or your employment opportunities. You DO NOT have to POST a job opening in order to SEARCH OUR DATABASE of eligible hires, just register as an employer. Remember it is free. Ms. Jeri Prophet, a US Naval Veteran, resides in Virginia Beach, Virginia with her two children. Prophet founded IntellecTechs, a Service Disabled Veteran Woman Owned Small Disadvantaged Business in 2008; shortly thereafter nowhiringveterans.com was constructed as a way of helping her fellow Veterans as they made their transition from the military. In addition to building the web site she frequently attends the Transition Assistance Program (TAP), which is a four-day workshop for pre-retirement or pre-separation military members. It covers resume writing, interviewing skills, salary negotiations, military benefits, and other topics that facilitate a smooth transition from the military to the civilian community. She participates in the Employer Panel (business owners, key hiring managers and HR staff) whom give guidance and advice on the best method for job hunting, what employers are looking for and how to market themselves in this economy. Jeri sits on the board of Executive Women International (EWI) Hampton Roads Chapter, the premier organization for networking and leadership development for today's business professionals and their firms, which serves the community through scholarships and literacy programs. Prophet was also appointed to the Vetshouse, Incorporated Board of Directors, a unique nonprofit organization serving homeless Veterans in Hampton Roads. It is not a shelter, but a 12 month program providing temporary living quarters in a group environment, assistance in job hunting, transportation, personal skills and development guidance. 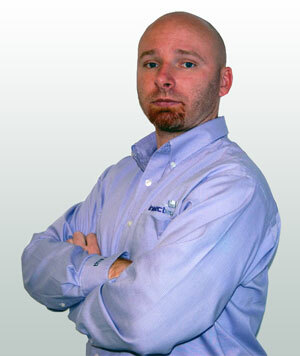 Although IntellecTechs is newly formed, Prophet has been in the information technology business for a very long time. She has over 10 years of U.S. Navy experience and 10 years in the commercial network and computer field, along with over 12,000 hours of classroom instruction time and is considered to be one of the Subject Matter Experts on the Navy Marine Corps Intranet (NMCI) Architecture. 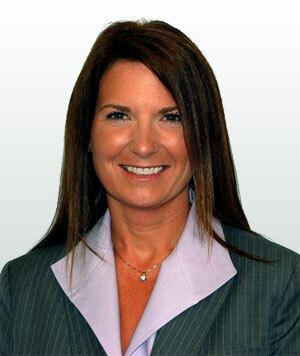 Jeri was instrumental in training hundreds of engineers in many Microsoft Applications and Government solutions. 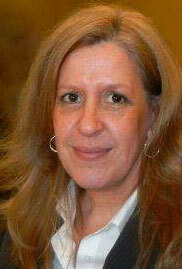 She was selected as an Inside Business 2009 Top Forty Under 40 Honoree and a 2011 SBI Minerva Awardee. A native of Attica, New York she joined the United States Navy at 17 and relocated to Virginia. Following a brief seven year enlistment in the military in aviation administrative roles, she was employed by Textron where she served in a number of positions in support of Air Cushion Vehicle Programs for both the Army and the Navy. The mother of two sons, one presently serving with the US Army, it is her desire to assist both active duty military members and veterans in any way possible to achieve their professional goals. Mark Oiler was born and raised in Norfolk, Virginia, enlisted in the United States Marine Corps at age 18. Throughout his Marine Corps career he amassed over three years of sea duty being forward deployed. He engaged in Peace Keeping Operations in East Timor, Embassy Evacuations in Africa, humanitarian missions and several engagements in Iraq. Mark was also deployed as a contractor in support of Operation Enduring Freedom and Operation Iraqi Freedom, as well as being an instructor for the Marine Corps Mojave Viper training in 29 Palms, California. After leaving the Marine Corps, Mark was lucky enough to start directly into the world of Government Contracting; however, with today's economic environment and crowded pool of qualified workers it would be tough to accomplish that. That's why he created Now Hiring Veterans, so other veterans could have a successful launch pad into their new careers and make a positive change in their lives. "The fighting pride of our nation, shouldn't have to come home and stand in an unemployment line!"